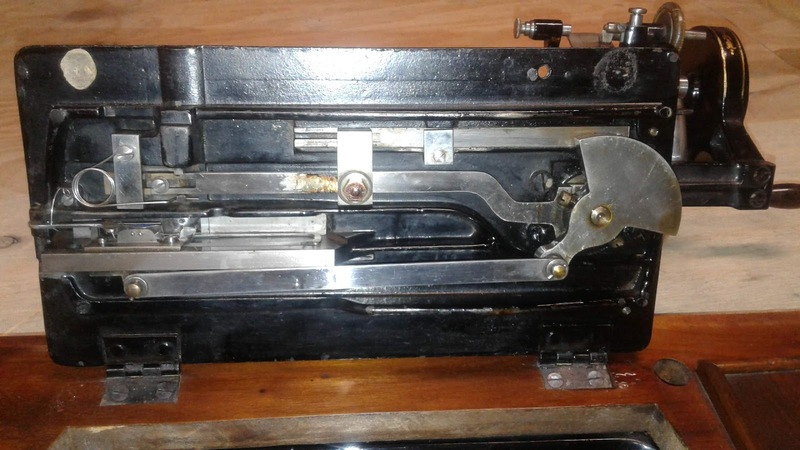 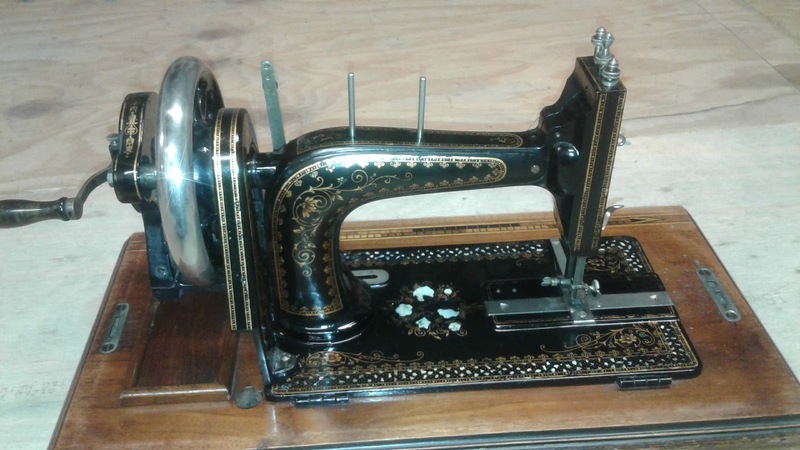 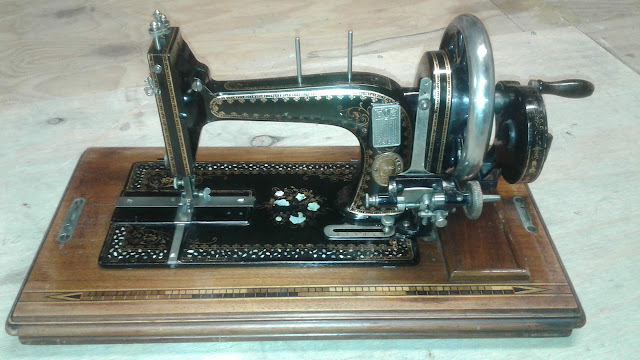 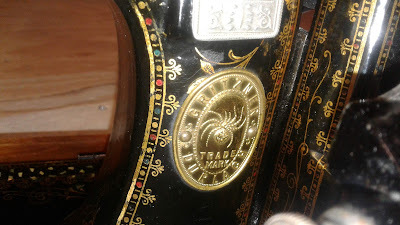 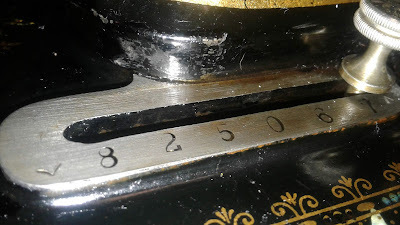 According to the serial number this Gritzner sewing machine was manufactured in 1899 or even 1900. 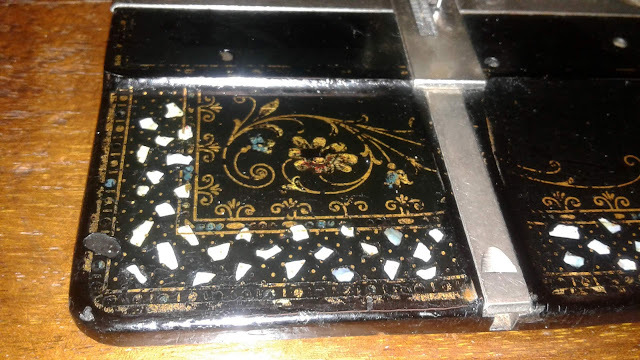 Mother of pearl inlays might make this a luxury version. 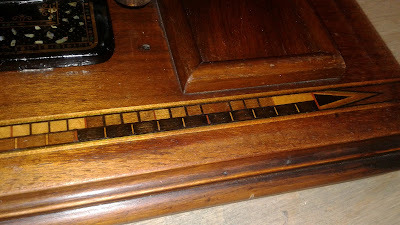 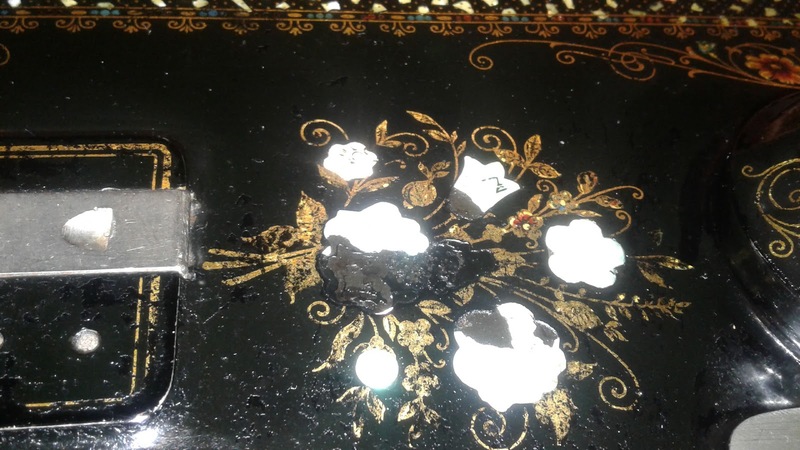 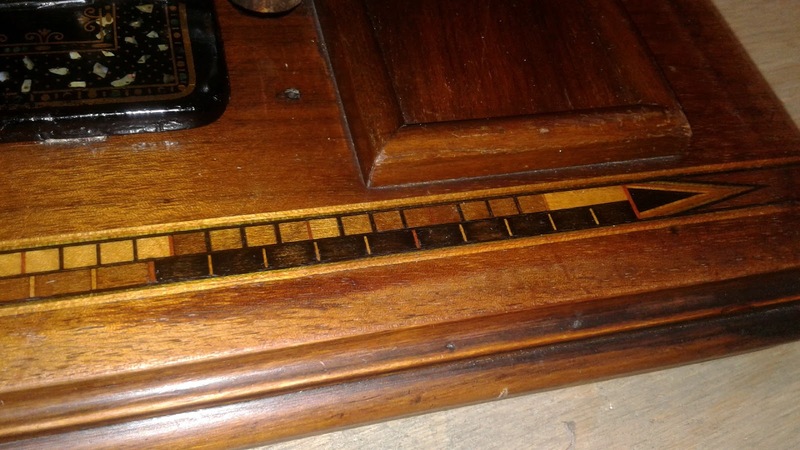 These mother of pearl inlays seem to have been applied a little haphazardly. 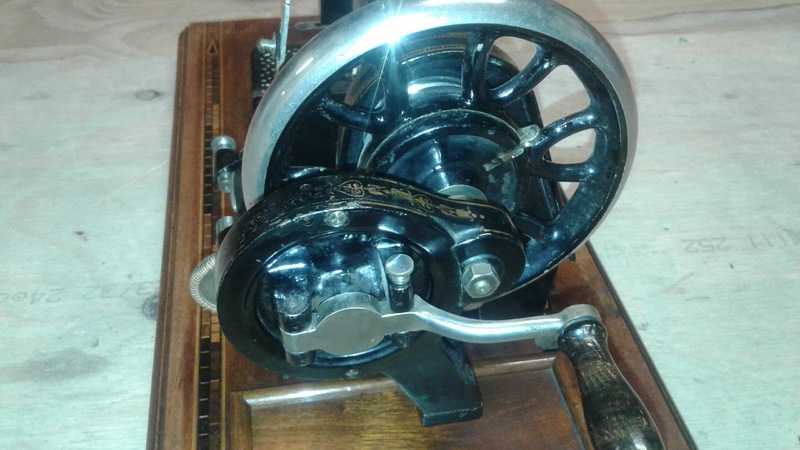 This wheel and crank unit is very similar to the version on the later R.